The local electricians that residents of the Stow, Massachusetts, area turn to time and again when they need installations, repairs, and general electrical services are the experienced pros at VMA Electric. That’s because we make customer satisfaction our top priority – a claim that is backed up by the fact that we’ve earned an A+ rating from the Better Business Bureau. We’ve worked hard to build a company that always puts the customer first. Our owner, Victor Archila, goes to great lengths to ensure that every client receives the highest level of service and is treated with respect at all times. 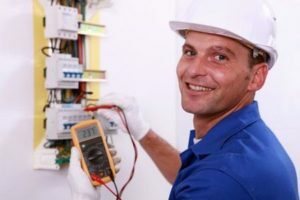 Additionally, our electricians average more than a decade of experience, so they are able to get the job done right the first time. Additionally, we have an electrician standing by to help if you ever encounter an electrical emergency, such as a sparking wire, overheating outlet, or power outage. Contact VMA Electric today to see why we’re a trusted leader among the local electricians in the Stow, MA, area.